The first American tank available to the player, the T1 Cunningham is popular with many players for its "bug-eyed" appearance. It has the second-weakest tier I armor; however, it has the best top speed of any tier I. Although it does not excel at bouncing shots, its high rate of fire guns are forces to be reckoned with for its tier. Very high burst damage with auto-cannon can kill almonst every tier 1 tank if the complete magazine is hitting the target on ~100-200 m.
This tank is considerably faster than the other tier 1 vehicles, making it a good offensive tank in early battles. Fully upgraded, it is a nimble but fragile tank, so staying mobile and doing hit and run attacks is essential. Other than its speed, something unique to this tank at this tier are the semi-automatic guns. These guns have 5 round magazines and function the same way as the French autoloaders. They can fire five rounds in quick succession, but then have a long reload time to load another five rounds into the magazine. Remember, every tank the T1 Cunningham encounters will have more armor, so try to avoid slugging matches. With its speed, it can get into auto-cannon range more easily than the other tier 1 tanks, but the problem is often staying alive long enough to kill the target at that range. Also, the reload time for the auto-cannon on this tank is absurdly long (more than twice as long as any other tier 1 tank), giving it a distinct disadvantage. Please note the Map Restrictions for tier 1 tanks if you consider purchasing a camouflage skin/paint job for this tank. Research the 37 mm Semiautomatic Gun M1924, as it has better penetration, a higher rate of fire, and is more accurate than the starting gun. When you can, upgrade to the 37mm Browning Semiautomatic Gun for even more penetration and accuracy. However, this will require upgrading to the Cunningham D2 turret. The Cunningham V8 engine is cheap, and will increase your acceleration by a fair amount. Those wanting a hit-and-run style tank should upgrade to this engine quickly. The SCR 200 radio will give you a better idea of what's going on across the battlefield. The T1 Cunningham was a US light tank design that never left the prototype stages. Officially carrying the designations of T1E2 and T1E4, it continued through the development stages from 1922 through 1928. 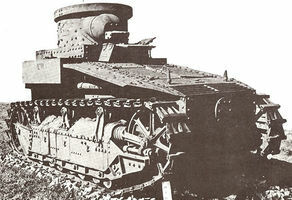 This tank was never mass produced, nor was it ever fielded. It is unknown how many were actually produced in the prototype stages, but there is at least one known to have been created, currently at the Aberdeen Proving Ground in Maryland, USA. 이 문서는 2014년 8월 26일 (화) 23:35에 마지막으로 바뀌었습니다.